Do you have a dream of building a steel building but don’t know where to start or who to call? Why do you want to build? What function will your building serve? We have found that when we hear the purpose and the dream behind the building we can offer better solutions that give you the most value for your dollar. And you walk in a building you are proud to own! David started out just wanting to remodel his RV cover. But after talking with one of our Project Managers, he realized that wasn’t the whole dream. What he really wanted was a metal building to pull his RV into and have room to maneuver it around inside. 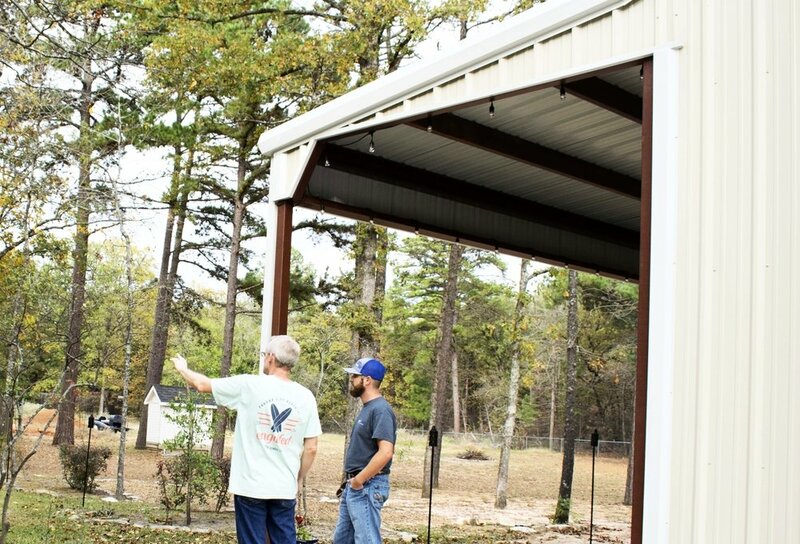 Plus, he wanted his metal building to hold his tractor and be able to host big events like a graduation party for his daughter. We were able to customize his project giving him the flexibility he dreamed of. All of this he would have missed with a boxed kit company. Maybe it’s just sketched out on the back of a napkin. If you’re looking to customize and maximize value like David was, our Project Managers have decades of experience in the steel building industry and can create solutions to suit your building specifications. The first step is to start the conversation with us. Give us a call or request a quote online. We want to partner with you to build your project so you don’t have to navigate the process alone.